Online surveys > Support articles > Help & support > FAQ > How do I validate my pre-population parameters? Where pre-population has been used to populate a multiple choice question or a selection list, you must be careful that the values you’ve uploaded to your respondent list in x1-10 match the text of the related question’s answer options exactly. If Online Surveys cannot match the value you’ve uploaded to an answer option in the question, the participant will see the below error. To help you find inconsistencies in the data you’ve uploaded, we have a tool to validate your parameters. After uploading your respondent list you can check for inconsistencies by clicking the Validate Parameters button. The rows on Survey Access control will be filtered to rows that contain inconsistencies. Any values that do not match an answer option in a corresponding question in the survey will be highlighted in red. In case there are many inconsistencies, you can export a csv file that lists your invalid parameters. 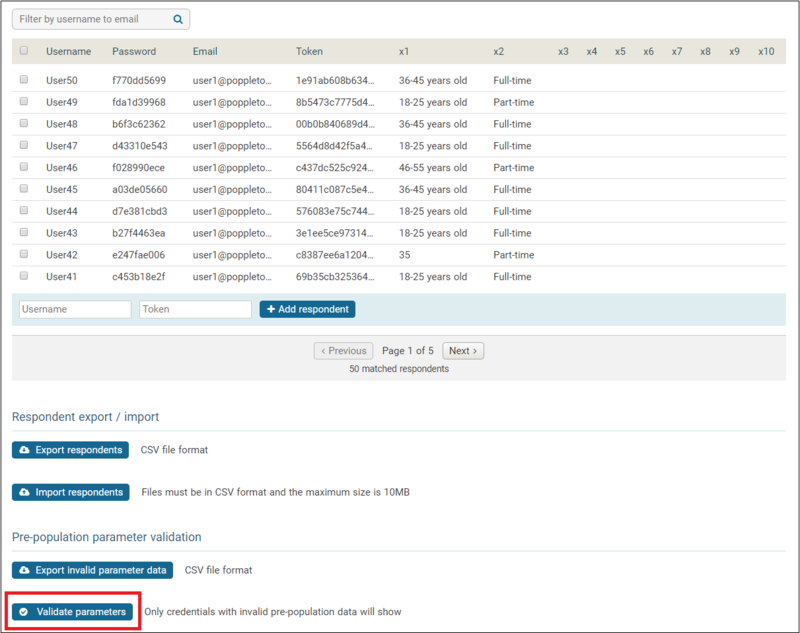 You can do that by clicking the Export invalid parameter data button. 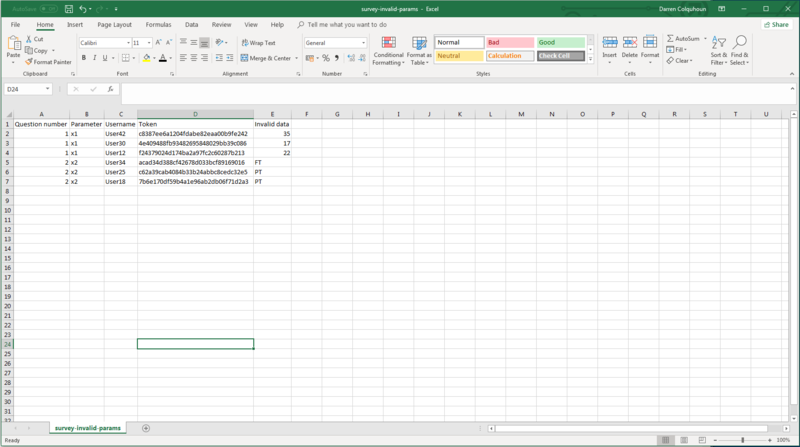 The csv file will pull out the same data as shown in the respondent list, but in a more manageable way. You will need to amend any inconsistencies by checking the answer options in the survey and amending your invalid re-population parameters to match. 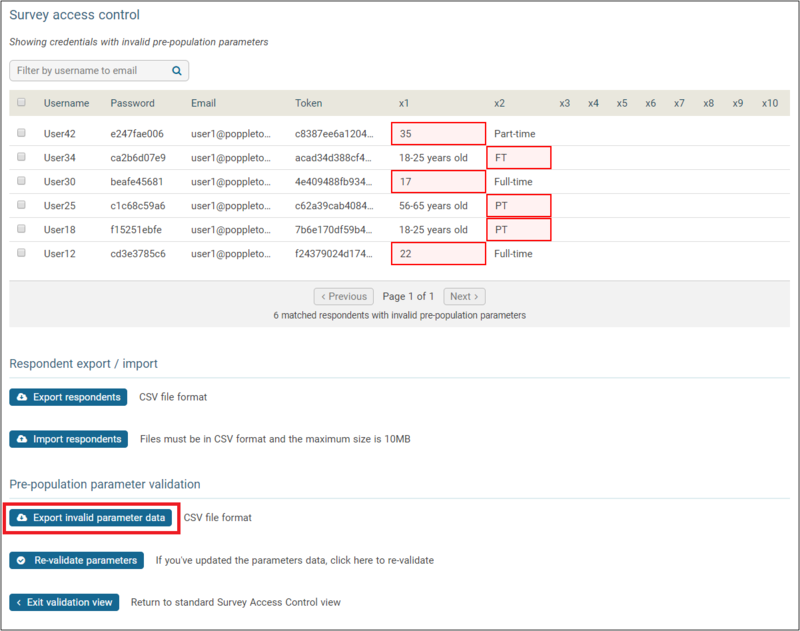 You can either do this manually in the Survey Access Control screen or by exporting your respondent list, amending the csv file and re-uploading.